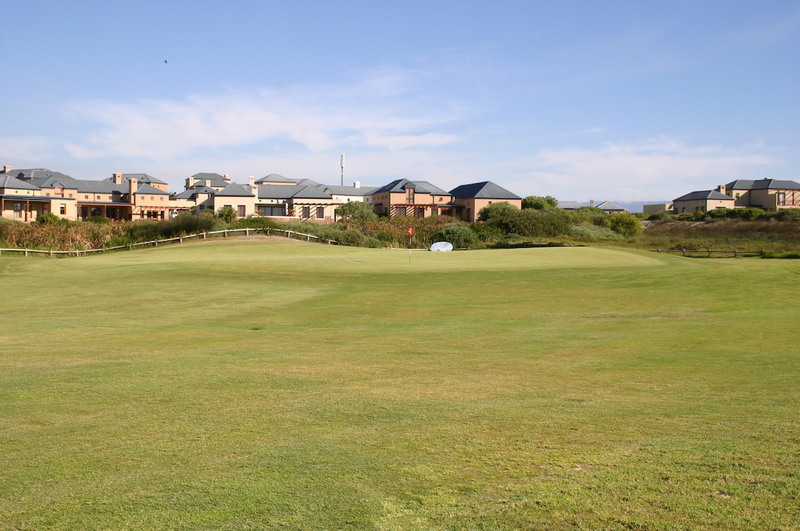 Atlantic Beach is a unique and heavily developed golf and residential estate north of Cape Town that is built on rolling sandy terrain and enjoys superb views across Table Bay to the city’s famed Table Mountain. 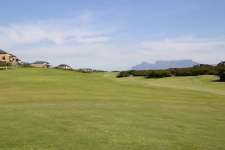 While most new developments are compromised by the prevalence of golf on unsuitable ground, here the golf land is pure, the holes routed over a series of small dunes and cut through corridors of thick indigenous coastal shrub, known as fynbos. 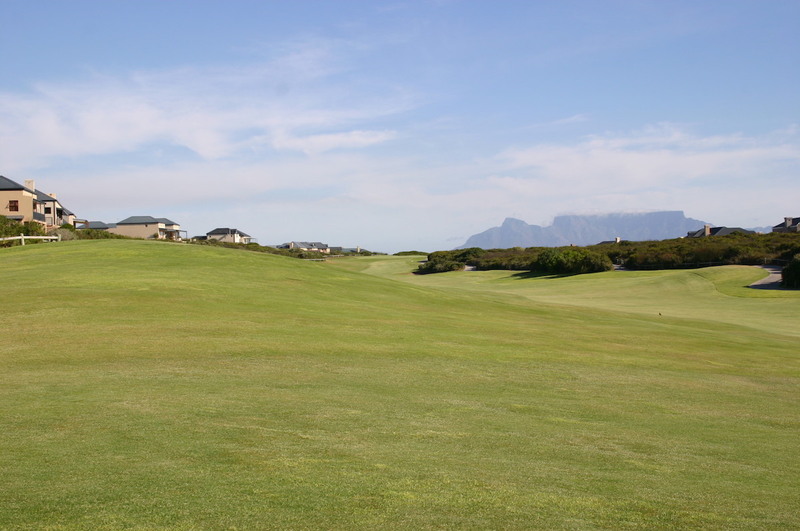 Unfortunately this fynbos is protected and off fairway areas are actually treated as lateral hazards and out of bounds for stray golfers. 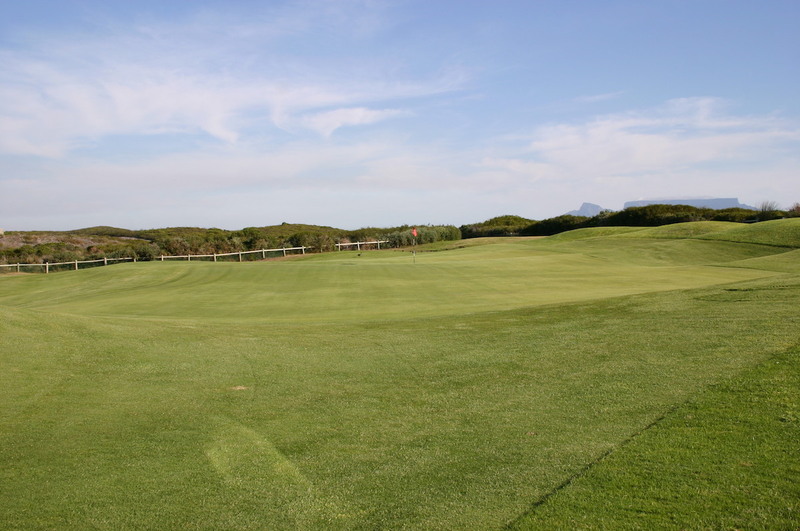 As many fairways are narrow, driving under the typically windy conditions is therefore very demanding. 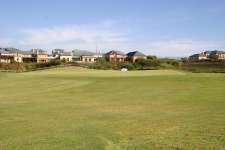 The 4th hole, for instance, is a particularly nasty experience as it is played over a scrubby dune to a hidden fairway with out of bounds down both sides. 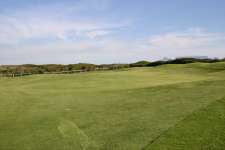 Though the fairway grass is not as keen as a fine fescue, the course does play firm and bouncy like a links and holes alter character with every wind change. Charmingly the par five 15th is almost driveable downwind while the unusual half punchbowl 17th could be played successfully with a putter. Equally memorable are the short 5th and 12th holes for their Table Mountain backdrops and the 10th, a brilliant driving hole across a valley to a crested fairway that flirts with a disused sand quarry. There are also a number of sporty greens including the half hidden 9th and 17th and the severely tilted 6th and 15th. 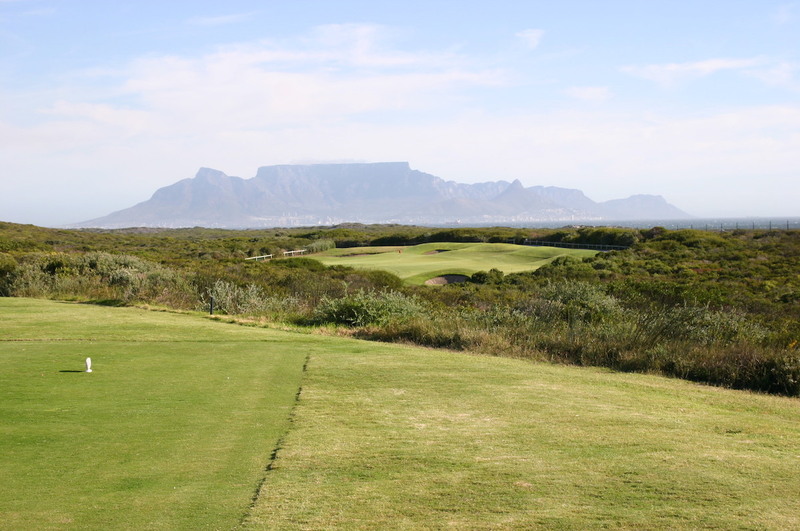 While the unfortunate dune restrictions and invasive housing prevent Atlantic Beach from reaching loftier heights, of the modern estate courses in Africa this is definitely one of the best.